Her experience isn't expensive, it is priceless. Annette joined the real estate industry in 2003, she is consistently a top performer achieving results in the top 20 sales awards for the Auckland region and top 100 nationally. Gary Matthews has been selling real estate in this area for over 20 years now and has established a reputation of being a hard working honest man with exceptional work ethics. Manurewa house values increased by 12% over the last year to $648,400, Weymouth values increased 12% to $618,650, Clendon Park values were up 13% to $558,400, Manurewa East was up 15% to $623,500, Randwick Park was up 12% to $592,300, Wattle Downs was up 9% to $780,900 and Conifer Grove increased by 11% to $778,450. 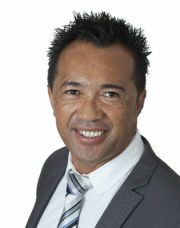 The average time it takes to sell a property in the general Manurewa area is currently 26 days. Most expensive sale: $1.449m in June 2016, in Hill Rd. To find out who sold it and the best agents to sell your home, go to our Agent Selector Service. Investors are a key buying market and it's important that whoever is marketing your home is capable of speaking to them in their own terms. If you are interviewing agents you should quiz them accordingly on their experience with investors and understanding of issues like net yield and capital growth.